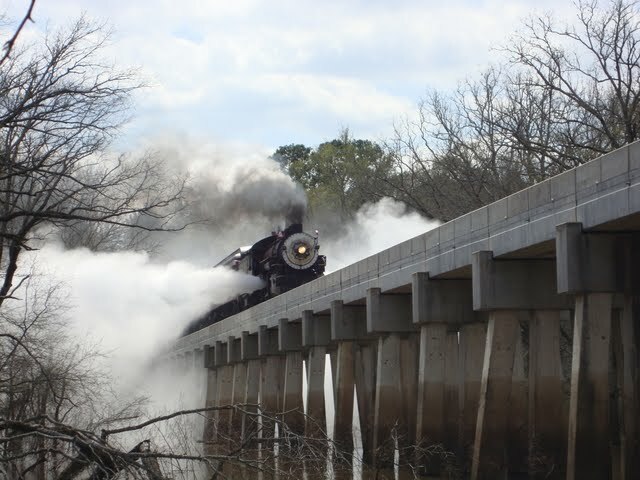 The Texas State Railroad is not only a "Texas Treasure," it is the official Railroad of Texas. The Texas state prison system established the railroad in 1881. Inmates built the line, which was used to transport hardwood which was used as fuel for the furnaces at the prison-operated iron smelter at the Rusk Penitentiary. The furnace supplied the State of Texas with iron products, including the columns and dome structure for the capitol building in Austin. 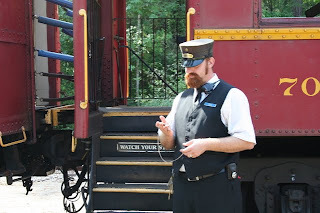 The original construction was a narrow gauge line but was later built in standard gauge in order to join into the main line. In 1906 prison crews extended the rail line to Maydelle and in 1909 reached their final destination of Palestine. 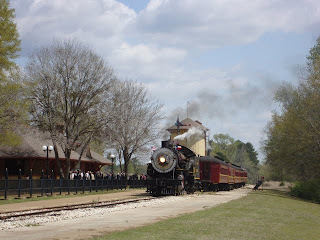 Once the train line was completed into Palestine the line was easily accessible to the main lines and commerce in and around the area flourished. In 1913 the prison ceased operations of the iron furnace and the Penitentiary was converted into the state mental hospital. In 1921 the regular rail service was discontinued and the line was leased to the Texas & New Orleans (Southern Pacific Railroad Co.) The Texas Southeastern Railroad leased the line in the early 1960s and continued operation of the line until 1969. 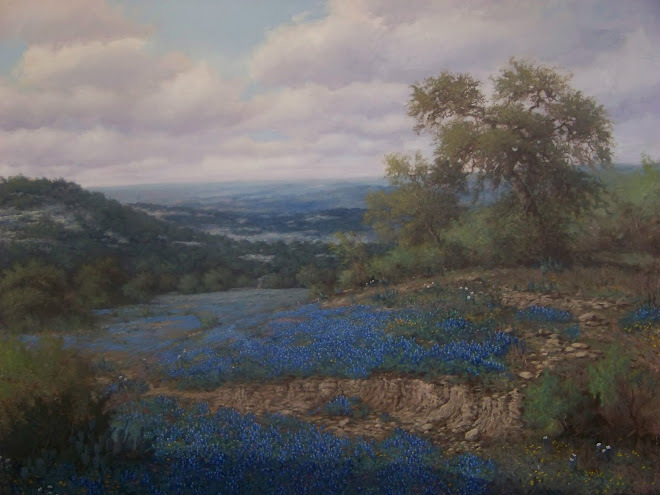 The railroad was conveyed to the Texas Parks and Wildlife Department in 1972 and state inmates were again brought in to help with the creation of the state historical park. 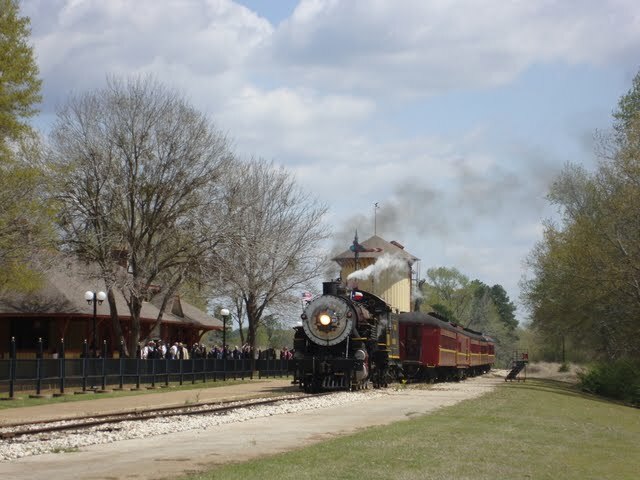 The park and railroad were opened to the public on July 4th, 1976, as part of the nation's Bicentennial Celebration. 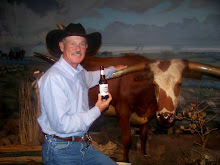 In 2003 Texas State Representative Chuck Hopson lead the way in proclaiming a resolution from the 78th Legislature of the State of Texas, designating the Texas State Railroad as the Official Railroad of Texas. The state's parks and wildlife department successfully ran the railroad until the management was privatized with a contract with American Heritage Railways in September of 2007.